Encouraging teens to take charge of their physical and mental health. The first week of April, health advocates around the country use this time to raise awareness of the unique health issues facing teens all over the world, with 37 countries on 6 continents coming together to advocate for teen health and wellness. Known as Teen Health Week, this global initiative encourages teens to take charge of their physical and mental health to facilitate healthy habits they will carry with them throughout their lives. This emphasis is critical now, more than ever, as some experts believe kids today will be the first generation not to live longer than their parents. 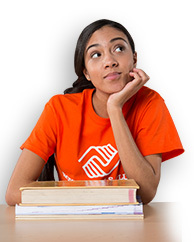 One of the ways Boys & Girls Clubs help to reinforce physical and emotional health, is through the Triple Play program – helping focus on the development of the mind, body and soul. Building skills in young people like health literacy, impulse control, self-efficacy, self-confidence and decision-making is critical to helping prepare young people for the future. Allowing teens to help with meal prep teaches them responsibility, builds confidence and allows them to take a hands-on role in their health. Including them in meal prep builds skills they need when it is time to cook their own food. Let your teen create the grocery list, meals for the week and take them with you to the grocery store. Task them with creating recipes and finding healthy alternatives to some of their favorite foods. Art, music and dance are great ways for teens to express themselves and build self-awareness. It gives teens a voice and the ability to take control of something. The arts promote problem solving and is a great confidence builder for teens. Encourage your teens to take an art class, sign up for dance lessons or learn to play an instrument. Regular physical activity is important for promoting lifelong health and well-being. Teen’s participating in sports and recreation activities develop perseverance, goal-setting and improve cardiorespiratory fitness, build strong bones and muscles, control weight, and reduce symptoms of anxiety and depression. 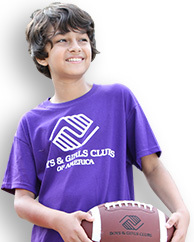 Sign your teen up for a physical activity, team sport or take them with you to the park or the gym to get active. Positive peer relationships can help teens hone their social skills and develop their own personal identities. These friendships allow teens an opportunity to practice impulse control, develop conflict resolution skills and provide fun and excitement for teens through companionship and recreation. Allow your teen to join affinity groups, camps or attend an afterschool program with positive recreational and social activities. Creating a safe place for teens to use their voice and express themselves gives them the permission and confidence to practice declaring themselves – stating their feelings, beliefs, questions, needs, wants, disagreements, and limits. 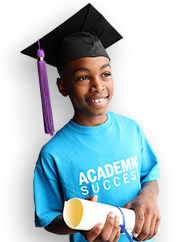 This builds their confidence and fosters their ability to make well informed decisions. Triple Play: A Game Plan for the Mind, Body and Soul is BGCA’s proven health and wellness program co-sponsored by the Anthem Foundation and founding partner The Coca-Cola Company.